Drake and Migos’ trip to Miami has been postponed. 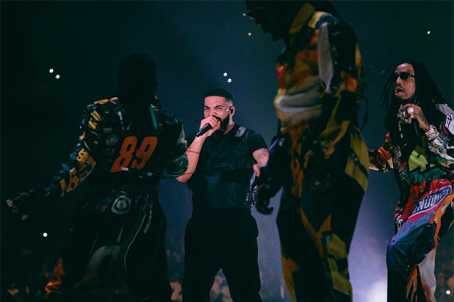 The rappers have delayed a pair of shows on their “Aubrey and the Three Migos Tour,” which were set for Friday (Sept. 21) and Saturday (Sept. 22) at Miami’s American Airlines Arena. This is the latest setback for the arena trek, which was originally set to kick off July 26, but was delayed twice due to production issues. It eventually kicked off Aug. 12 at Kansas City’s Spring Center. Drake also postponed his first of three hometown shows in Toronto to reportedly visit a young fan in the hospital. The“Aubrey and the Three Migos Tour”is now set to continue on Sept.24 in New Orleans before traveling to Dallas, Houston, Las Vegas, Phoenix, and Los Angeles.